Einstürzende Neubauten, "Collapsing New Buildings" is a German industrial band, originally from West Berlin, formed in 1980. 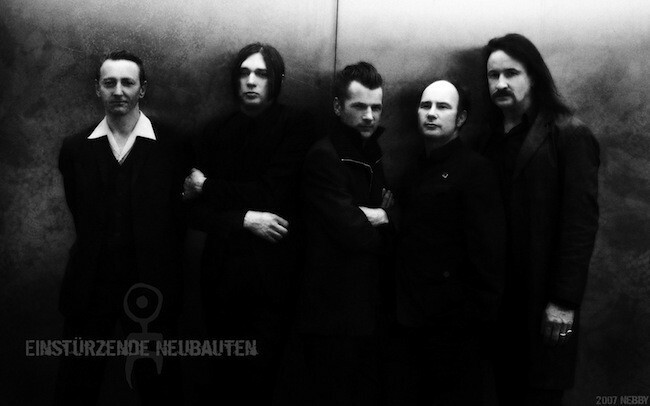 The group currently comprises Blixa Bargeld (lead vocals, guitar, keyboard), Alexander Hacke (bass, guitar, vocals), N.U. Unruh (custom-made instruments, percussion, vocals), Jochen Arbeit (guitar and vocals), and Rudolf Moser (custom-built instruments, percussion, and vocals).